...1Gbps of capacity on the recently announced Intelsat EpicNG satellite platform, to be used in the delivery of aeronautical consumer broadband and live TV services. Panasonic's Global Communications Services provides in-flight broadband connectivity, mobile phone services and live television programming to airlines flying land-mass and transoceanic routes, globally. 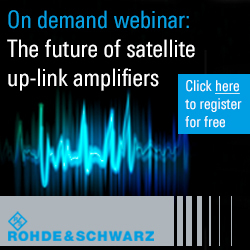 Today, this solution is available over the company's global Ku-band aeronautical network. With more than 1,500 aircraft committed to the Global Communications Services, Panasonic has selected the Intelsat EpicNG satellite platform to ensure the highest possible bandwidth for existing and future airline customers. The multi-year agreement with Intelsat will enhance Panasonic's broadband service by leveraging Intelsat's broad geographic coverage and specialized beams, for the territory spanning the United States and North Atlantic, which is one of the busiest long-haul flight corridors in the world. With Intelsat EpicNG , up to 80 Mbps per aircraft and 200 Mbps per spot beam will be available to any Panasonic-equipped aircraft flying this high-traffic route. The delivery of consumer broadband and television services for commercial flights is the latest development in the trend to be connected when on the move—whether on the ground, at sea or in the air—and one where Intelsat's global satellite network enables broadband and video connectivity to virtually any point on the earth's surface. Panasonic's services will be expanded in the near-term by using capacity on two satellites within Intelsat's Ku-band global broadband mobility platform. 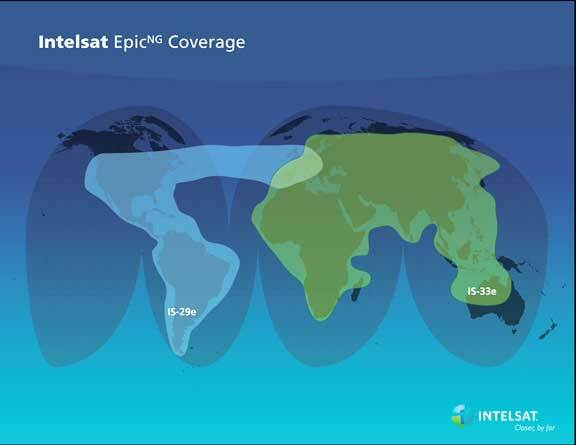 These services will be complemented by high throughput Ku-band capacity on Intelsat 29e, the first of the Intelsat EpicNG satellites when the platform launches in 2015. The Intelsat EpicNG satellites will be integrated with Intelsat's industry-leading IntelsatONE(sm) terrestrial infrastructure, which includes teleport and fiber services, to provide Panasonic with a complete network infrastructure. The agreement also includes Intelsat 29e service on a wide Ku-band overlay beam for efficient broadcast of live television to Panasonic's airline customers in North America and across the North Atlantic.